It’s so easy to get caught in the go-go-go of our busy lives — or even the slow-slow-slow of our unmotivated ruts — that we forget to press pause and make space for the things that spark our passions and allow us to face life at full adventure throttle. Make a commitment to yourself to get away from the hustle and bustle of everyday, or the humdrum of your under-enthusiastic schedule, and join us for this powerful adventure workshop! Megan King, adventure instigator, writer & coach, transformed from shy kid with a horrible sense of direction into a say-yes jovial global traveler who loves meeting strangers, actually seeks out “getting lost” in new places to discover local treasures, and has delved into hundreds of unique experiences to test her own comfort zone. From sky diving to solving misadventures like breaking down in the middle of the Australian Outback, she has found many ways to test her adventurous side! Through insight gained from traveling this beautiful world (30 countries and counting), she began to study the meaning of joy, contentment, connection, and other positive attributes of travel observed along the way. And she learned that through all her seeking, the most important element of adventure is what you can do in your own hometown. She bottled these revelations into a teachable method for connecting with one’s adventurous spirit and allowing more vibrance in – without the need to search in far off lands. You can use her tools to be an adventurer any place, anytime, and step into the thrill and energy of living a life you love. Reconnect with your passions, your idea of fun, and your adventurous spirit! Then pave the path to lead the more adventurous life you’ve envisioned. Next Live Event: Coming Soon! Send a note to info(at)youradventurouslife.com to organize this event for your company. 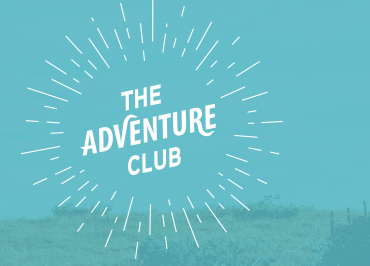 Take the 10-Day Adventure Challenge! It’s the Lunar New Year! How Much Would You Trust This? Working with Megan brought everything into clarity for me, got me back on track, and now I'm embarking on my business adventure with focus and renewed excitement. Megan is the real deal – supportive and motivational. I came to her when I was going through a divorce and miserable at work. With Megan's help, I've landed a job I love, I now believe in my self-worth, and I feel much happier. Megan is very intuitive, and her workshops are amazing. She has a passion that's more than travel - it's an adventure. She leads in such innovative ways and has such an inspiring story. I absolutely love it! Megan's adventure coaching has been a game-changer, helping me to honor my adventurous spirit and unpack old patterns I was holding on to. I'm so thankful for her Adventure Club, too! Megan's relentless optimism and coaching skills inspired me to reconnect with the “real” me and embark on the path of a more balanced and fulfilling life. Now I love my job and just married the man of my dreams! The experience was wonderful! Megan's fun, spirited attitude that makes you want to skip around. I recommend Megan for her bubbly attitude, and desire for all to have a great time.